Few things in this strange old life are as weird and delicious as a nice soft cheese. It’s creamy, and often kind of funky, and sometimes it comes in its own little outfit. But should you eat that outfit? I always eat the outfit—okay, fine, the rind—because it’s delicious, but sit down around a big plate of baked brie with a group of people and at least one of them’s going to leave that white exterior behind. So who’s right? Can you pick up a big ol’ wheel of brie and just take a bite like it’s a burger? Should we eat the rind? The casing is penicillum candidum, “that beautiful white rind,” as she puts it, and it is delicious. According to Steve Taylor, Ph.D., director of the Food Allergy Research and Resource Program (FARRP), no evidence exists that moldy cheeses are potentially harmful to mold-allergic individuals. Consumers with mold allergy generally are responding to the inhalation of mold spores. On the other hand, ingestion of moldy cheeses generally involves the ingestion of mycelia, not spores. Although some spores may indeed be present in the cheese, the digestive process may destroy the allergens. Some physicians do caution their patients about the ingestion of moldy cheeses but this caution is not based on any solid evidence of which Dr. Taylor is aware. 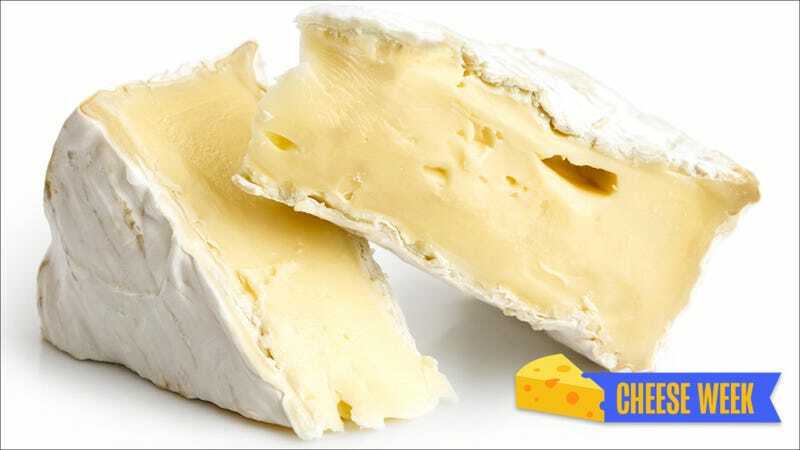 He further adds that the main mold allergen in the environment is Alternaria and Alternaria would not be a common mold spoilage species in cheeses (more likely on spoiled fruit). Her last piece of advice concerns heat, too: If you don’t like stinkier cheese, don’t heat it. And if you don’t want the rind, save it for me.